Part of 11 page spread in Norwegian hunting magazine Jakt & fiske. Portrait of kurdish choir singer Dina Bushra Helle in Norwegian Choir Magazine. Front cover of Dagbladet Magasinet. Inside 8 page feature on moose hunting team Tikka in Arctic Norway. 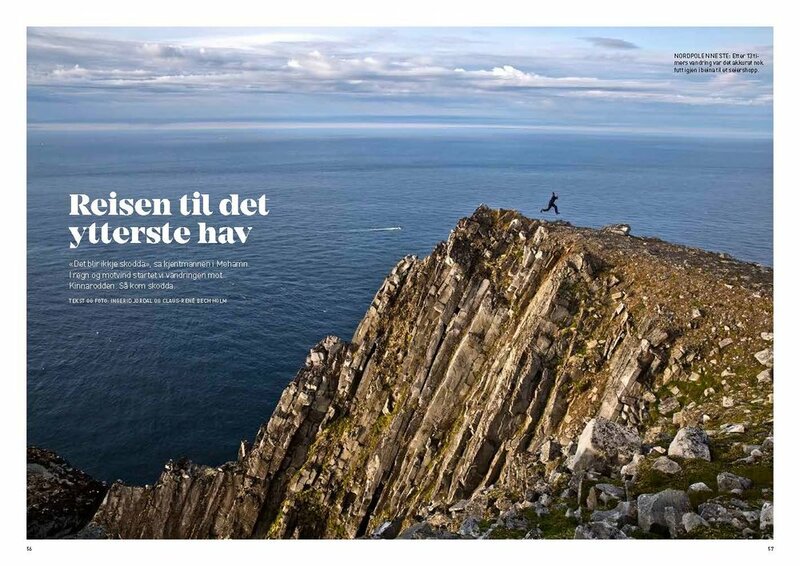 5 pages about a hike to the northernmost part of mainland Europe, Kinnarodden in Norway. 5 images in book by Oddgeir Bruaset about Norwegian christmas trees. Double page spread on Varanger Arctic Kite Enduro. Image of BASE jumper Frode Johannessen.